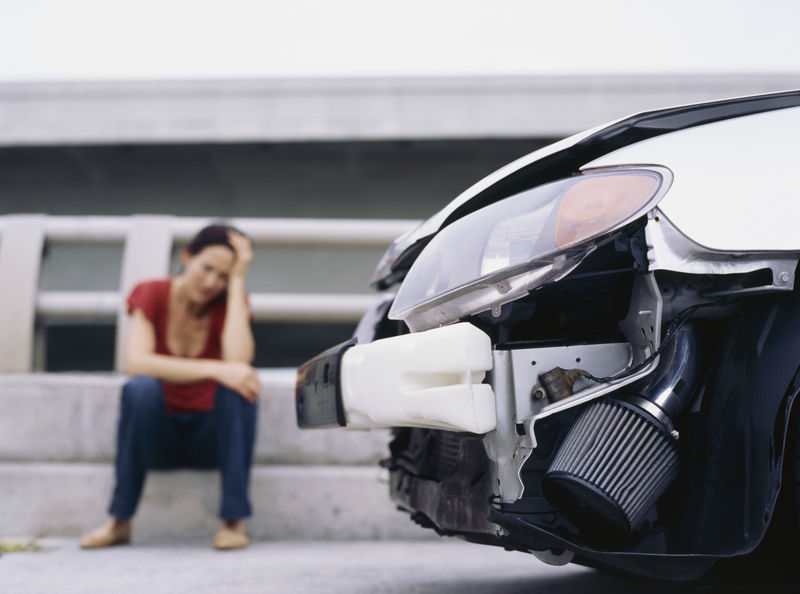 After a car accident or fender bender occurs, it can be hard to think straight and stay calm. Pain is usually masked by adrenaline, and the body enters a fight or flight mode. These natural responses are the body’s attempt to protect and defend against threats. However, many people forget to protect their legal rights or defend against the threat of liability. The following steps help document a car accident with as much evidence as possible and may serve as a strong legal tool for holding negligent parities liable. 1. Stop the Car: Drivers are legally required to stop their vehicles, even if the car accident was a minor fender bender. Failure to do so can result in serious criminal consequences such as a hit and run charge. Attempt to stop the vehicle as close to the scene of the car accident as possible without unnecessarily blocking traffic. 2. Always Check for Injuries: Check to see if anyone is injured. If so, call an ambulance, a doctor, or both. The 911 operator can help walk the caller through administering first aid after the ambulance has been dispatched. Keep in mind that not all injuries are apparent, and moving an injured person can worsen their injury. 3. Warn Other Drivers of the Car Accident: Use reflective triangles, flares, or flashing hazard lights on vehicles to warn approaching cars. These emergency kits are widely available and can be easily stored in the trunk of a car. 4. Call the Police: Typically a police car on patrol will stop just to make sure everyone is okay. Nonetheless, it is a good idea to keep a list of contact numbers for police and law enforcement agencies. Police officers are trained to investigate car accidents. They can measure skid marks and take distance measurements, all of which may help in determining how the car accident occurred. 5. Write All Information: Do not trust memory during a stressful time. Carry a notepad and a pen in the glove compartment. Write down everything, especially the names, addresses, license plate numbers, insurance information, and drivers’ license numbers of all drivers and witnesses involved. 6. Carry a Camera: It is often very helpful to store a camera in the glove compartment. Keep smartphones and camera phones well charged before driving somewhere. Having pictures that document the accident is very valuable. Pictures can prove damages and road conditions if a liability dispute arises. 7. Don’t Admit Guilt or Place Blame: Do not admit guilt or place blame after a car accident. Only discuss the car accident with the investigating officer, a personal injury attorney, and the insurance company. 8. See a Doctor: Whiplash and other muscular injuries often do not present themselves until a few days following a car accident. Other serious injuries can occur without showing symptoms, immediate pain, or bleeding. Insurance companies capitalize on these facts by taking statements shortly after an accident. Personal injury compensation may cover the cost of medicine, physical therapy, or hospitalization, but only if the victim sees their doctor. 9. File an Accident Report: As a requirement of most car insurance policies, drivers typically must file an accident report with their insurance company. Failure to do so can void the policy and leave the driver without coverage for the damages resulting from the car accident. 10. Don’t Accept the First Settlement Offer: Accepting the first settlement offer can be a tempting, yet costly mistake. There are many other costs surrounding a car accident other than medical bills and property damages; there is the time missed from work, or the cost of new forms of transportation if the vehicle is totaled. These costs are often not factored into the insurance companies settlement offer. 11. Contact a Maryland Personal Injury Lawyer: A personal injury lawyer can advise car accident victims and protect their rights. They can obtain statements from the witnesses while their memories of the car accident are fresh. Personal injury lawyers are experienced in negotiating with both the insurance company and the claim adjusters. For more information, please contact the Maryland personal injury attorneys at McMullen & Drury.